Can you confirm these amateur observations of Tropidurus torquatus? Type locality: Brazil, Rio de Janeiro, Lagoa do Paulista [neotype locality]. Lat -22.2352, -41.5481. Types Neotype: MZUSP 54907 (RODRIGUES 1987); original description doesn’t mention type specimens. Diagnosis Diagnosis: Tropidurus torquatus is diagnosable from all congeners, except those of the torquatus group, by lacking a middorsal scale row and by having imbricate and keeled dorsal scales. 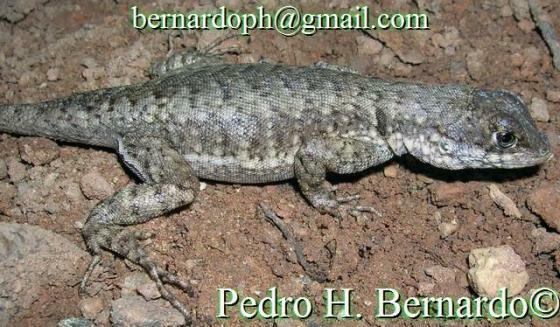 From those of the torquatus group, except for T. catalanensis and T. imbituba sp. nov., it can be distinguished by having two mite pockets under the oblique neck fold, the upper pocket is well developed and the lower is poorly developed; two or three axillary pockets; and inguinal granular pocket present (type “A” sensu Rodrigues 1987). 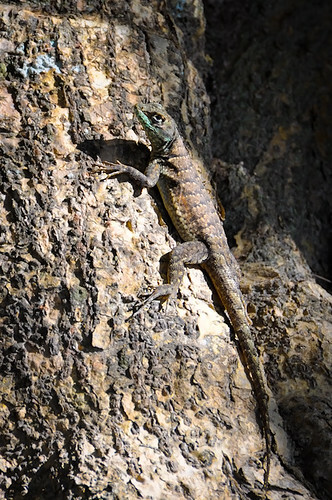 As presently recognized T. torquatus can be distinguished from T. catalanensis and T. imbituba only on the base of coloration characters which are best developed on adult males. From T. catalanensis it differs in not having yellow coloration on chest and mental region, while from T. imbituba it differs in not having orange-bronze coloration on the venter and sides of the trunk [from KUNZ & BORGES-MARTINS 2013]. Comment Synonymy partly after Peters et al. 1970. 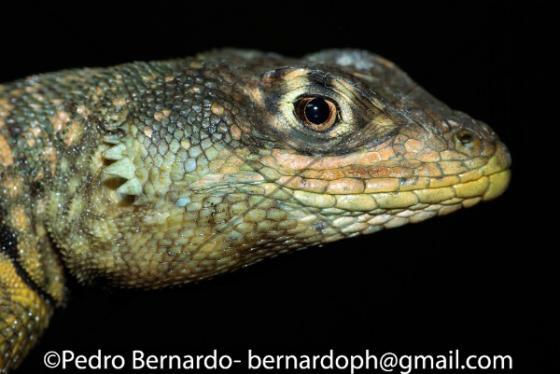 Species group: The torquatus group of Tropidurus contains 13 species: T. chromatops, T. cocorobensis Rodrigues, 1987, T. erythrocephalus Rodrigues, 1987, T. etheridgei, T. hispidus, T. hygomi, T. insulanus Rodrigues, 1987, T. itambere Rodrigues, 1987, T. montanus Rodrigues, 1987, T. mucujensis Rodrigues, 1987, T. oreadicus Rodrigues, 1987, T. psammonastes and T. torquatus [SARAIVA-KUNZ & BORGES-MARTINS 2013]..
Distribution: probably in Bolivia (based on occurrence in neighboring countries) but not reported from there yet (HARVEY & GUTBERLET 1998). Habitat: open areas and rocky outcrops, sand, semi-arboreal. Type species: Stellio torquatus WIED-NEUWIED 1820 is the type species of the genus Tropidurus WIED 1824. WIED-NEUWIED 1820 did not provide a type locality.